Anyone who has participated in a game beta will know what to expect: random crashes, unpolished textures and a game engine with the stability of a two legged donkey on a surf board. 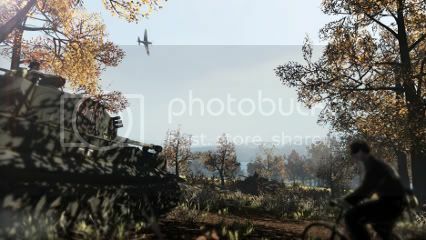 Well, we’ve been getting to grips with the Heroes & Generals pre-beta, so the beta test for the beta test. Therefore it really would be a case of kicking the blind, deaf and mute child in the school playground if we were to look too deeply into the technical issues we have found so far. This is a game in its early development stages and has the teething issues of a baby growing shark teeth. Fortunately, it has a lot of other things that we are happy to be nice about. 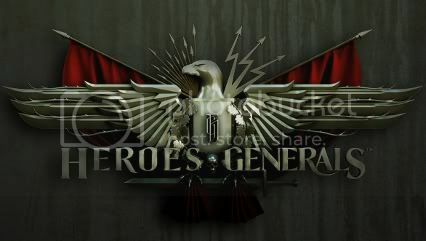 Heroes & Generals is a browser based massively multiplayer real-time strategy first-person shooter hybrid game (think the abbreviation BBMMRTSFPS will catch on?) set in World War II that has two distinct phases which separate the genres. After logging in and choosing to fight for either the Axis or the Allies you land on the campaign map, an entangled spider’s web of supply lines between towns all over Europe. This is the ‘generals’ aspect of the game that allows you to oversee your team’s forces from an RTS perspective. Eventually you can earn money to deploy your own squads to move around the board, but before then you must enter a skirmish in one of the many contested towns. This is where attack orders are issued and player characters sent to war. This is where the ‘heroes’ part of the game lies, putting you behind the eyes of a grunt on the ground. It feels very similar to the older Battlefield games where you get to choose a spawn point, drop in the game and then race to beacons on the map that can be captured and spawned on. Both teams take these points in order, fighting towards a central victory point to either capture or defend. 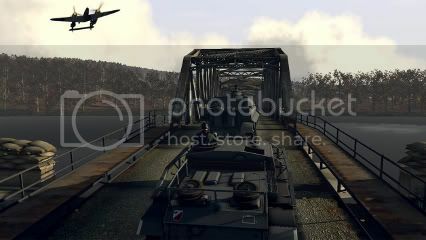 When this location is successfully taken or held, the victorious team takes ownership of the town on the map. It sounds very simple, but the genius part lies with the generals in the RTS game running in the background. You can only use the equipment that generals have moved into that particular town on the campaign map. This means you can only use tanks if someone has purchased them and moved them into position. Destroyed tanks may respawn, but only if you have replacement tanks in reserve placed by a benevolent general who might not even be fighting alongside you. Even the number of riflemen you can spawn is limited to the infantry moved there along the supply lanes on the big map. Of course you could always try to optimistically ride one of the numerous abandoned bicycles found on some maps into battle. All war efforts are appreciated but please bring more than your bicycle. More complex strategies start to open up when you realise that lots of towns have several supply routes going into them. Move your forces on the campaign map into a town via multiple supply routes and you suddenly open up more spawn locations for the men on the ground. Do you join the battle as a rifleman as part of a small squad north of the bridge, or appear as tank support with the armoured division from the west? As you play you realise the massive difference your actions on the campaign map can make in winning the war. Money earned on the ground can be used to purchase new weapons for your soldier or improve the equipment he already has. Weapon customisation goes deeper than Call of Duty could ever hope to, with different springs, triggers and barrels joining the usual pimping options of sights and ammunition types. Even these have different levels of effectiveness that can be purchased. It means that loadouts are diverse and guns can be modified for very specialised uses. 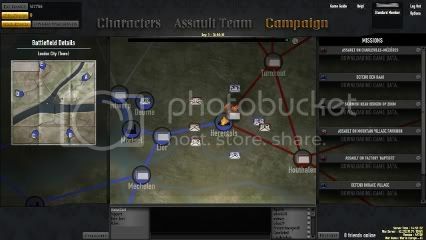 Cash can also be spent on the campaign map, buying assets for the war such as infantry squads, tanks and planes. There are only a few things that can crack tanks. Hint: It's not the bicycle. It’s a fantastic concept that brilliantly mixes the strengths of the RTS and FPS genres. Even though the battles are won on the ground, the only way to set those battles up is on the campaign map. If you want to jump into a quick battle, there needs to be a frontline organised by a general. You can easily remedy this yourself, although possibly not for a little while as purchasing assault squads starts off a little pricey. The money is quickly earned after a few matches though. Mixing the tactical choices of a general with the decisive efforts of a soldier on the ground works together like the gaming equivalent of cheese on toast – it just tastes like it was meant to be. Being a pre-beta there are still loads of issues that need to be addressed, first and foremost a team balancing mechanic. Most of the wars we have fought so far have had a heavy player imbalance in favour of the Axis. Allied forces were constantly pushed back and we found ourselves fighting in England a lot, participating in epic clashes such as the battle for Bury St Edmunds and the defence of Maidstone. There’s the usual seesaw of weapon balancing, but that will be an on-going issue until the game is released, as it is with most online FPS games. The browser game UI also needs some work done to it, as aspects of the current layout are about as user friendly as a kicked beehive. We really cannot wait to see what Heroes & Generals is going to be like when peak online players reach the consistent upper hundreds. This could be the next step for FPS games that want to strive beyond point and click shooting galleries. Whilst it looks very friendly towards the drop-in and out crowed, even the actions of casual players can cause ripples that reach the deep end. It’s definitely one to watch and something that developer Reto-Moto can only make better with each layer of polish. Having said that, it’s clear there is still a lot of polishing to do.